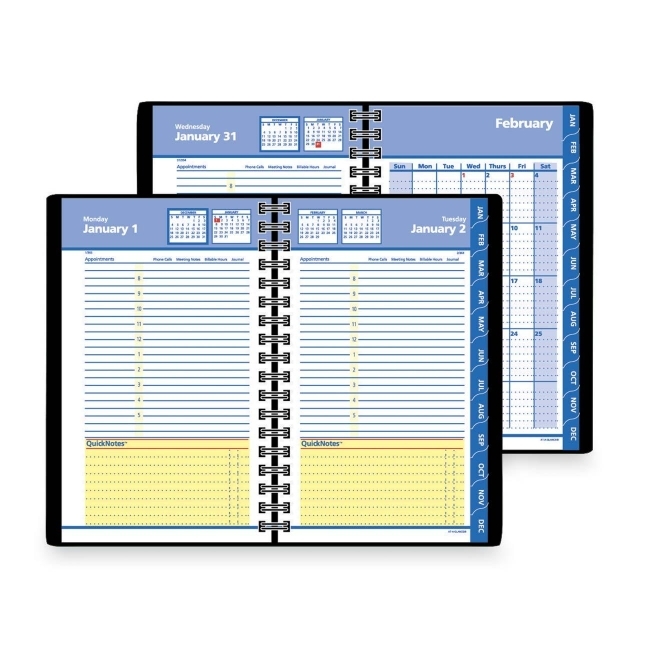 Planner system helps you organize your personal and professional life in one easy-to-use book with both daily and monthly formats. Planning pages range 12 months from January to December. One-page-per-day format has a QuickNotes section, hourly appointment times from 8 AM to 5 PM every day, extra space for morning and evening appointments, and past, current and two future months reference. 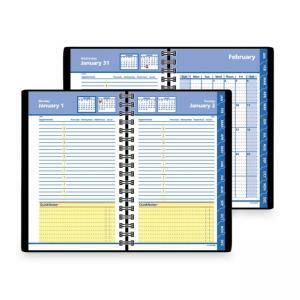 Tabbed monthly format is designed for long-range planning with two months reference. Wirebound planner includes a simulated leather cover and storage pocket. Pages are printed in four colors and made with at least 30 percent post-consumer material. Nonrefillable.